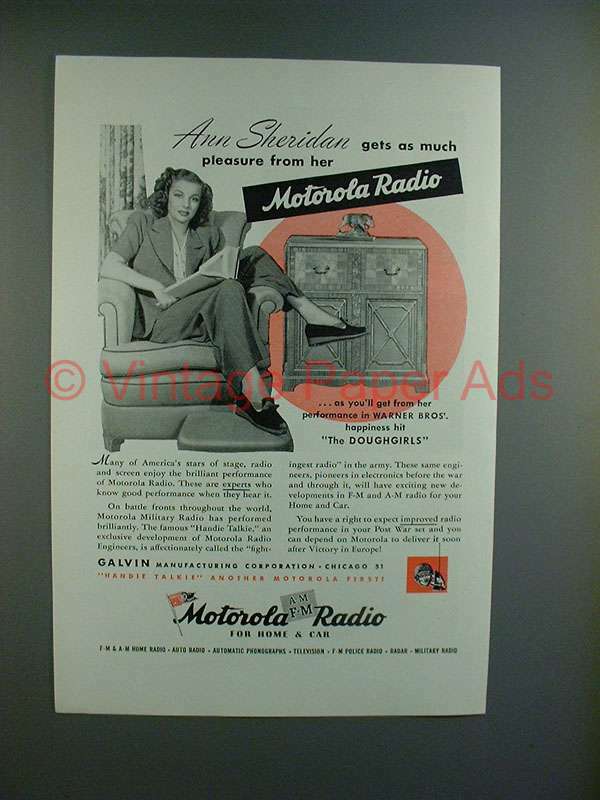 This is a 1945 ad for a Motorola Radio w/ Ann Sheridan! The size of the ad is approximately 6.5x10inches. The caption for this ad is 'Ann Sheridan gets as much pleasure from her Motorola Radio as you'll get from her perfomance in Warner Bros' happpiness hit The Doughgirls' The ad is in great condition. This vintage ad would look great framed and displayed! Add it to your collection today!